The projections were correct. Childish Gambino’s viral song ‘This is America’ has debuted at top of the Billboard Hot 100 chart this week. The track and its politically conscious music video has left analysts decoding the hidden meanings behind some of the imagery in the clip since its release nearly 10 days ago. It has led to a lot of chatter online and elsewhere which has turned into millions of streams and thousands of downloads. As of today, the video on YouTube stands at a whopping 108 million views. 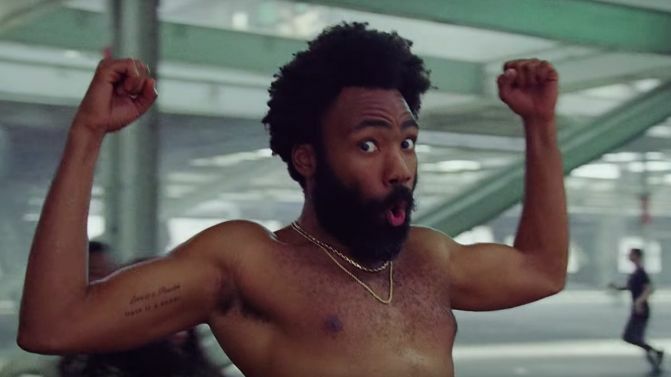 ‘This is America’ becomes Childish Gambino’s first number 1 single on the Hot 100. His previous best was number 12 last year with ‘Redbone’. Drizzy has spent last 16 weeks in a row on top of the chart — 11 weeks with ‘God’s Plan’ and 4 weeks with ‘Nice For What’. Both songs are from his next album Scorpion, arriving in June. Gambino recently told Jimmy Kimmel that he hasn’t seen any reaction to the song/video yet because he’s very sensitive.